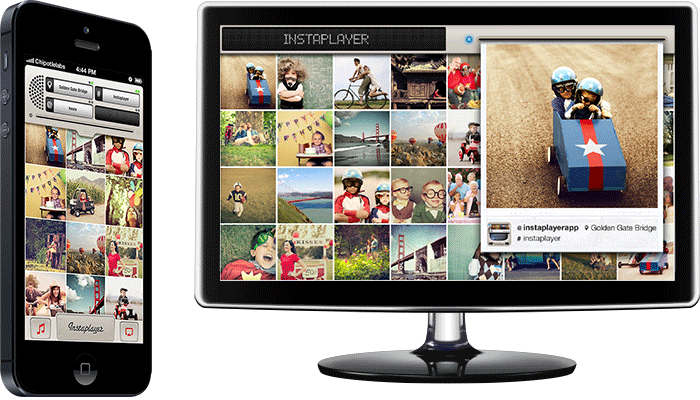 Instaplayer is an app specifically developed for iOS devices. 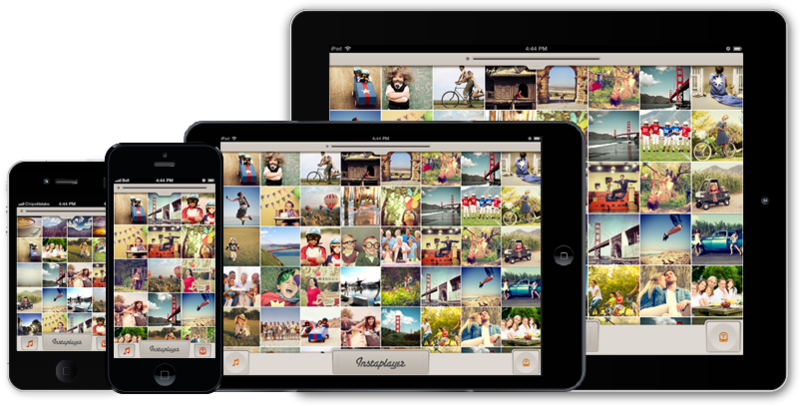 It takes your Instagram account and creates a gallery of all the images. The images appear in a polaroid fashion and becomes a part of the pre-existing gallery. The image content is curated by the user and can decide images based on hash tags or a particular location. Instaplayer was developed for Chipotle Labs while working with Sourcebits Inc.
Instaplayer makes use of Airplay but does much more! It mirrors the interface at 720p wirelessly to devices like Apple TV. 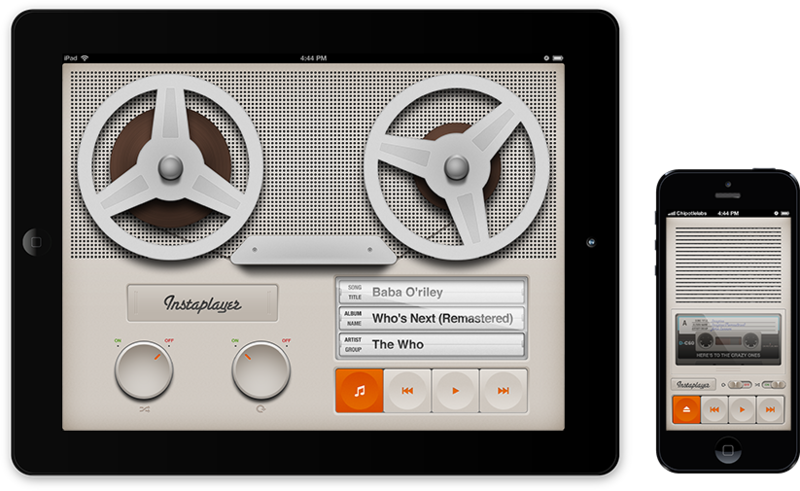 It also provides features to play your existing music collection in a vintage looking music player. User preferences are synced via iCloud between devices using the same account.